Our Frozen Combo Jumping Castle is perfect addition to any Frozen themed party! For a Frozen jumping castle it certainly is HOT right now! 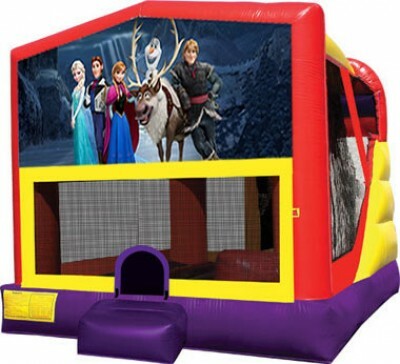 Extremely popular with the girls, this Frozen Jumping Castle is the perfect centerpiece for any Frozen themed party. Add a frozen slushie machine for a real blast! 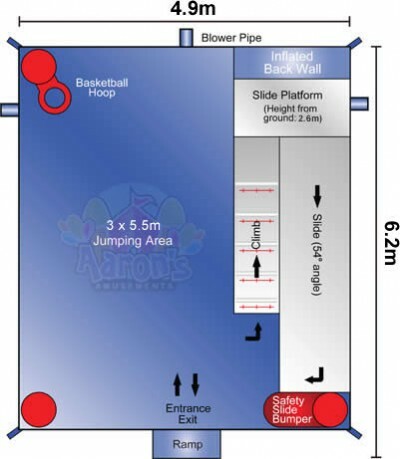 Comes with a Frozen banner, slide, basketball ring and jump area!